Contech Lighting Compact fluorescent cylinder fixture in black finish, features extruded aluminum construction. This ceiling/pendant/wall mountable fixture uses 42-Watt TTT lamp that has voltage rating of 120 - 277-Volts. Lamp of this fixture features electronic ballast that regulates the current flow. It measures 6-Inch Dia x 13-Inch. 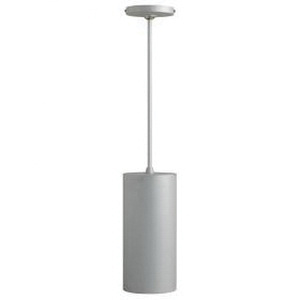 This pendant mountable fixture comes with 6 - 48-Inch stem for hassle-free installation. Fixture is cCSAus certified.